Will my new caulk stick to silicone? Sashco> Finding a Better Way> Will my new caulk stick to silicone? No, your new caulk won't stick to silicone caulk. Sorry to be so abrupt, but it's the truth. You can stop reading now if you don't want all of the details and the whys. Here at Sashco, we love the "whys," so we're trudging ahead. Nothing sticks to silicone - not paint, not new caulking products. Not even silicone will stick to itself. Fact is: nothing will stick to silicone - not even silicone. For the average person who needs to re-caulk their windows, bathtub, or anything else around the house, failed silicone means starting over from the very beginning. Why won't your new caulk stick to silicone? In the meantime, nothing else is allowed into their space. They're quite stubborn about it. Their space is for them only, so no new sealants - no matter the kind! - will stick. What can you do if you need to re-caulk and silicone is present? Use a silicone caulk remover to remove all silicone before applying new caulk. 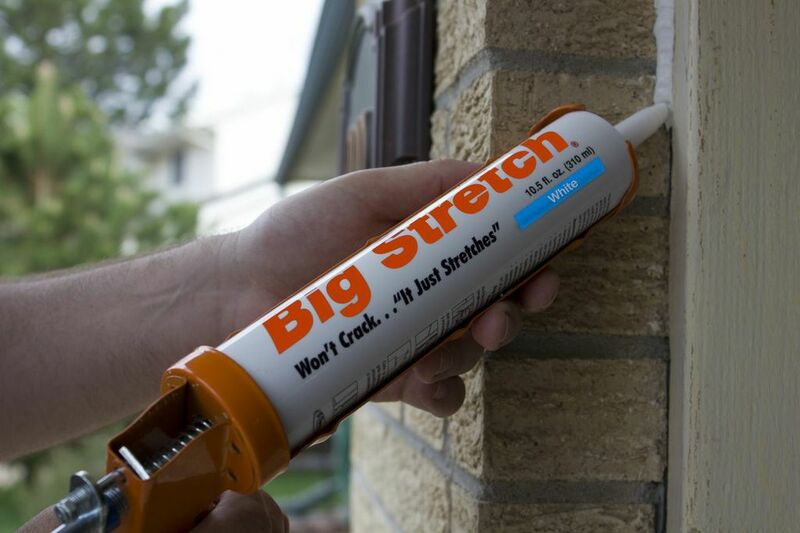 Apply the new caulk over top, making sure the new caulk bead is wider and outside of the silicone caulk, sticking to a clean, silicone-free surface. Use a silicone remover, readily available at hardware stores, to get rid of all traces of silicone. We like McKanica Silicone Caulk Remover. Thoroughly clean the surface with rubbing alcohol to make sure there is no silicone residue left. Once any silicone is removed, you can apply new caulk. Clean the surface of the silicone bead, as well as surrounding areas, with rubbing alcohol to remove as much oil as possible. Test a small area with the wider bead of caulk. Make sure no silicone oil molecules are still residing where the new bead needs to stick. If the test turns out OK, apply the new caulk, making sure it's sticking to clean surfaces on either side of the silicone. Cross your fingers and hope that the oils don’t decide to become a menace and hurt the new sealant adhesion in the future. If that doesn't work, revert to Option 1. Silicone has its place in the world. It's great for applications where there are extreme temperatures. (They love it in Antarctica!) But for most areas around the home, it's not ideal. Instead, choose a high-performance sealant (like Sashco's) with excellent elasticity and adhesion to a variety of surfaces. Then, make sure that product will stick to itself, in case you have to do repairs down the road. All of Sashco's sealants will stick to themselves, making any (unlikely) future repairs or retrofits much easier. Is that mold and mildew in your bathroom under the caulk or on top of it?